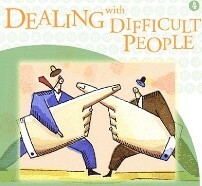 Life is full of challenges, but there are many tools from Panney Wei's toolbox to cope, especially when dealing difficult people. They can appear on all walks of life, in your career, at home, or in your family. Learning to deal with them can ensure you overall well-being and happiness. Panney will help you stay empowered when dealing with difficult people, grounded, and strong without caving in or internalizing negative projections or behavior. You will come out on top!